On Saturday, October 17th, the Sherman School celebrated its 12th Annual Harvest Fair sponsored by the Sherman Parent Teacher Organization. 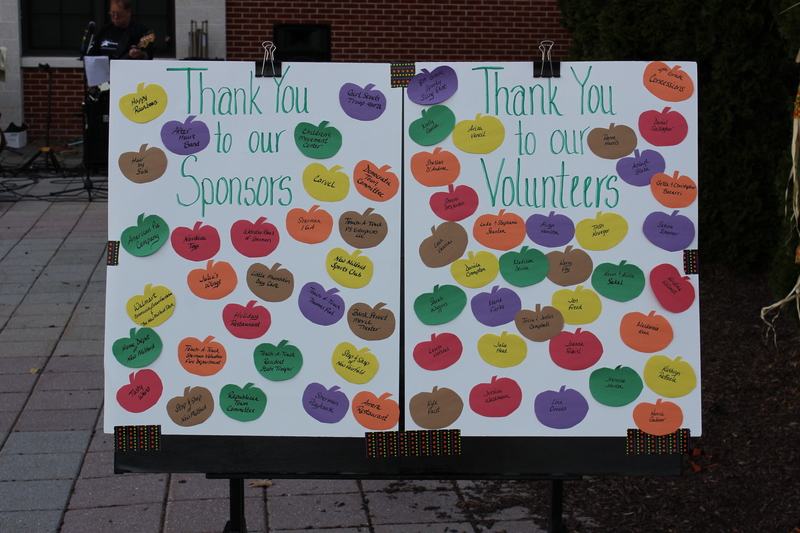 Over 300 people attended this year’s event including volunteers, sponsors, and children with their parents and friends. In classic small town Sherman-style, community togetherness and fun certainly filled the air, both literally and figuratively. 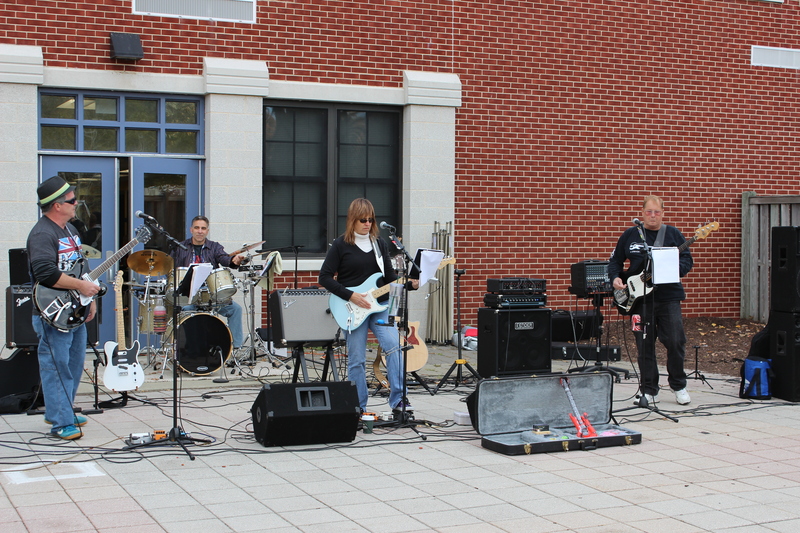 While walking up to the entrance area, families could hear the cool vibes of Classic Rock & Pop music playing from the local After Hours Band. 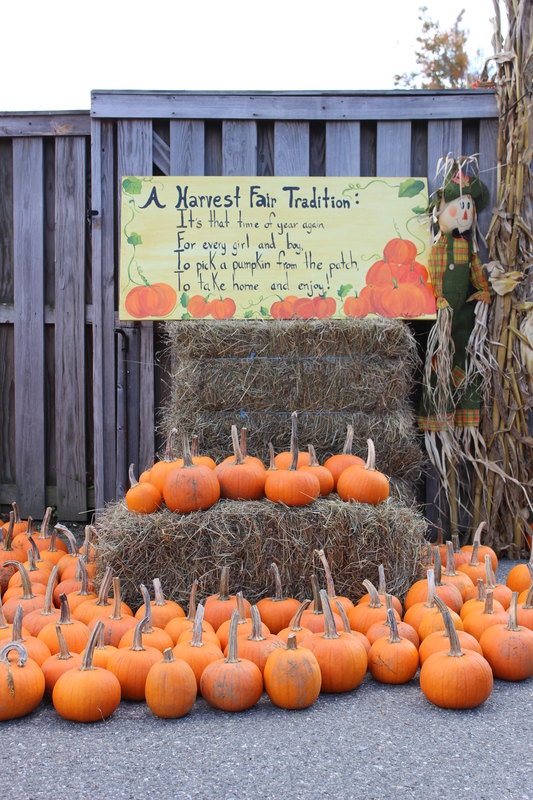 Also setting the stage for what was to come was a festive pumpkin tradition display with a brand new sign painted by artist-parent Sarah Wiggins. 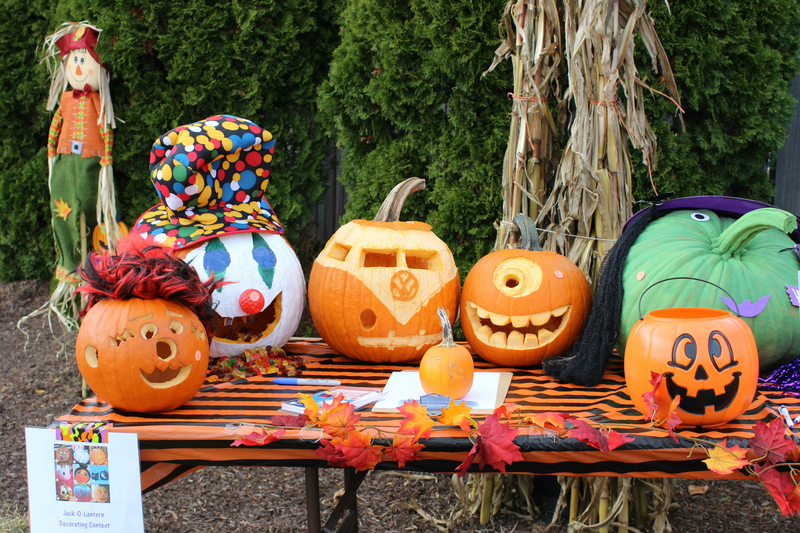 Just inside the main event entrance was a Pumpkin Decorating Contest table that showed off some of the most original pumpkins ever. On the opposite side, was a free raffle table for the children and they could win really nice prizes donated by several local businesses. Looking straight ahead, visitors could catch a glimpse of the gigantic fall harvest photo prop that was hand-painted by artist-teacher Alisyn Hamilton. 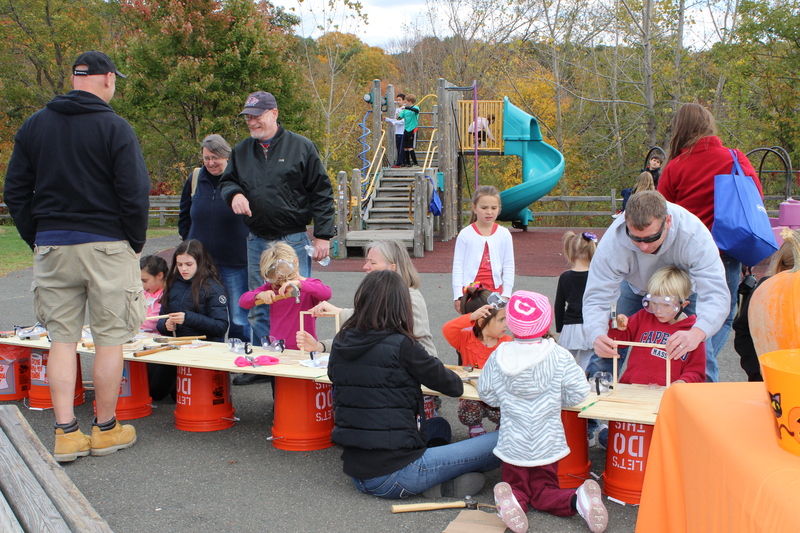 In the playground area, children enjoyed participating in many sponsored activities including a visit from the Home Depot Kids Workshop of New Milford, Donut Bobbing with Julia’s Wings, and Inflatable Obstacle Course fun with the Democratic Town Committee. UPCYCLE! Arts & Crafts with Little Munchkins and the cookie decorating table with American Pie Company cookies and Sherman IGA extras were also a few of the creative attractions. The Touch-A-Truck live exhibit was popular, too, with Thom Piel’s Kabota tractor and antique army jeeps, Paul Setzler’s cherry picker bucket truck, a Connecticut State Trooper car, and a Sherman Volunteer Fire Department truck. In addition, Grade 8 offered a Spooky Sling Shot activity. 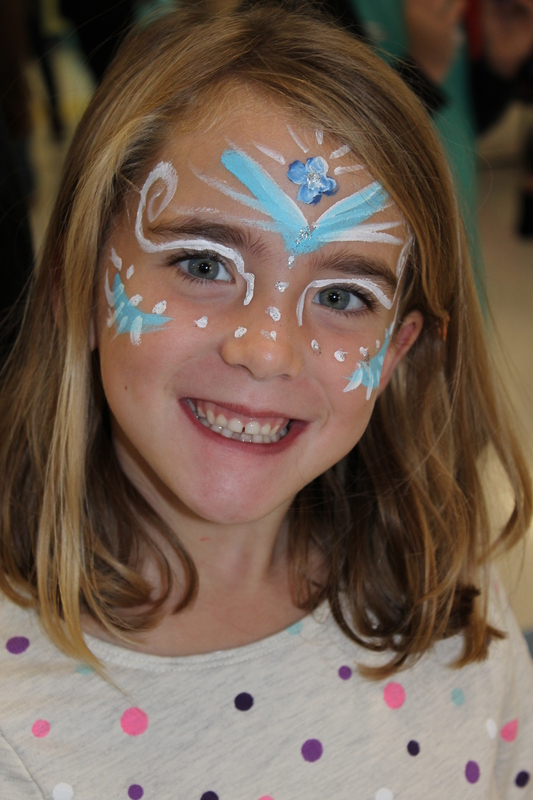 Inside the cafeteria, children had fun doing the Republican Town Committee Cake Walk, creating “thankful for…” cards at the Girl Scouts Troop #40072 table, getting faces painted and arms tattooed, playing BINGO, and making a funny pumpkin picture frame at the arts & crafts center. Some of the girls also had fun getting their nails painted at The Amore Table! and Grade 4 offered Concessions to families with appetites. Thank you to our Volunteers: Gette & Christopher Bacarri, Ashleigh Blake, Tricia & Justin Campbell, Daniela Crompton, Sheera Desjardin, Madison Devine, Shellon D’Andrea, Marie Fierko, Kerry Foy, Jen Freed, Daniel Gallagher, Kenric Gubner, Alisyn Hamilton, Renee Harris, Julie Head, Louise Hofsdal, Jeannine Johnson, Mackenzie Kean, Trish Kreuger, Linda Lewis, Lina Orozco, Kyle Paist, Kathryn Raffaele, Joanna Ribisl, Kevin Sakal, Luke & Stephanie Scanlon, Sabine Scherner, Arica Vancil, Leah Vannini, Jessica Waldmann, Kristina Wilmot, and Sarah Wiggins. Thank you to our Supporters: After Hours Band, American Pie Company, Amore Restaurant, Bank Street Movie Theater, Big Y, Carvel, Children’s Movement Center, Citizen News, Democratic Town Committee, Girl Scouts Troop #40072, Hair by Susi, Happy Rainbows, Holiday Restaurant, Home Depot of New Milford, Julia’s Wings, Little Munchkin Day Care, New Milford Sports Club, Nordica Toys, Republican Town Committee, Sherman IGA, Sherman Playhouse, The Sherman Sentinel, Stop & Shop in New Fairfield & New Milford, Tasty Waves, Touch-A-Truck: Connecticut State Troopers, Sherman Volunteer Fire Department, Thomas Piel, PS Enterprises LLC, Walmart Community Grant Foundation and The New Milford Store, and Webster Bank of Sherman. Save the Date: Next year’s Harvest Fair is already on the school calendar! For community organizations, small businesses, and corporate sponsors who would like to advance plan, the event will be on Saturday, October 15, 2016, Noon to 4 p.m. 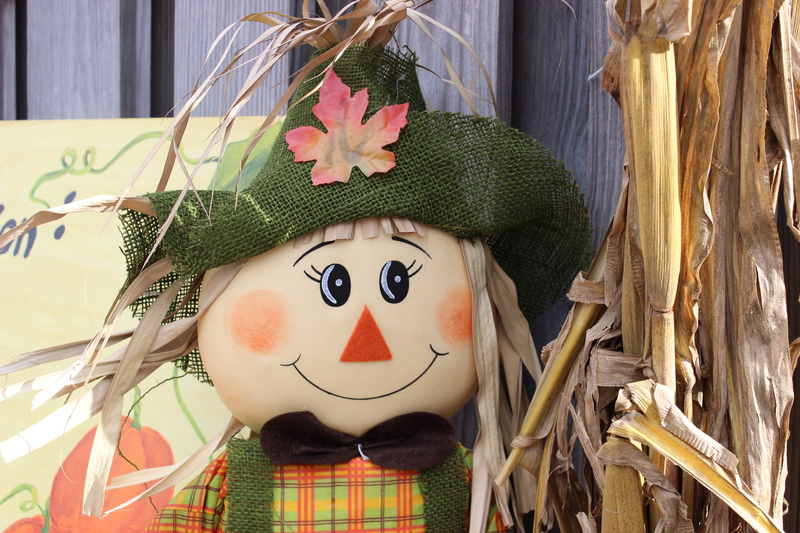 Previous Rain or Shine, it’s… HARVEST FAIR TIME! What a fun time! Great article!